We designed this South Luangwa, Mana Pools, and Victoria Falls Adventure Package for a lovely couple from Nebraska and their adult children. The parents had previously traveled with us to South Africa and Botswana. For this trip, they wanted to see Victoria Falls and enjoy a more adventurous safari than they had experienced in the past. Based on our own experience, we knew that Zambia’s South Luangwa National Park and Zimbabwe’s Mana Pools would be the perfect fit! They started their South Luangwa, Mana Pools, and Victoria Falls Adventure Package at Nkwali Camp in Zambia. This adventure camp sits on the banks of the Luangwa River overlooking the national park. Though the camp features luxuries like real beds, running water, and exceptional service, there’s also a decidedly wild factor. South Luangwa National Park is home to abundant wildlife, including lions, elephants, giraffes, zebras, hippos, crocodiles, and much more. Here, our clients enjoyed thrilling safaris by vehicle and boat—the ultimate start to their adventure! Next up on their South Luangwa, Mana Pools, and Victoria Falls Adventure Package was Mana Pools in Zimbabwe. The journey there was one of their highlights, with breathtaking views of mountains and lakes seen from the plane. After their flight, they took a boat cruise to John’s Camp, their home for the next 3 nights. This boutique camp focuses on adventurous walking safaris. With the help of their expert guide, they were able to walk within feet of a family of wild elephants! 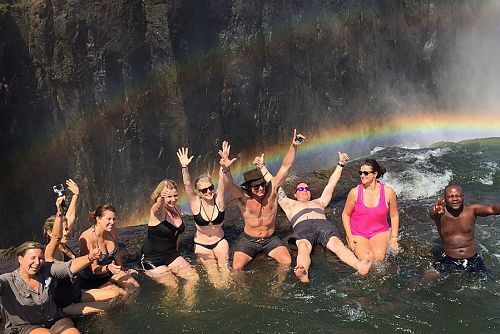 They finished their trip at the famed Victoria Falls. They spent 2 nights at Stanley Safari Lodge, which was a lovely way to relax after all their adventures. They saw the thundering spray of Victoria Falls on a guided tour and visited the Elephant Cafe, where they were able to hand-feed the elephants and enjoy a delicious gourmet meal overlooking the Zambezi River. At last, their South Luangwa, Mana Pools, and Victoria Falls Adventure Package came to an end. This trip was full of once-in-a-lifetime memories made as a family. They said it was their best family vacation ever! Welcome to Zambia! 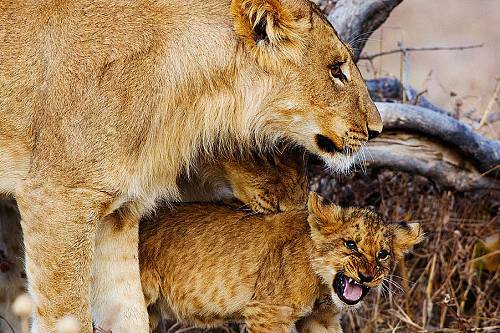 Arrive at Lusaka Airport and catch your connecting flight to Mfuwe Airport, the gateway to South Luangwa National Park. This off-the-beaten-track park is a true hidden gem of Africa, with diverse ecosystems and abundant wildlife. Compared to the more “tame” safari experiences in South Africa, here you’ll find a more intimate connection with nature, perfect for the intrepid explorer. Your home for the next 3 nights is Nkwali Camp, located on the banks of the Luangwa River overlooking the national park, where leopards roam along the bank and can often be spotted from camp. Your spacious, open-front chalet features commanding views of the river and the wildlife within, allowing you to feel truly immersed in your surroundings. The next 2 days will be packed with thrilling safari action! 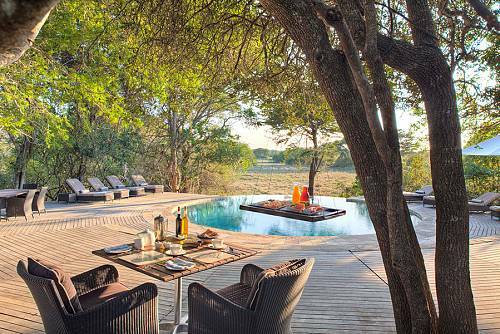 This corner of Zambia allows game drives (both day and night), water safaris, and walking safaris. See abundant wildlife, including lions, elephants, giraffes, zebras, hippos, crocodiles, and much more. 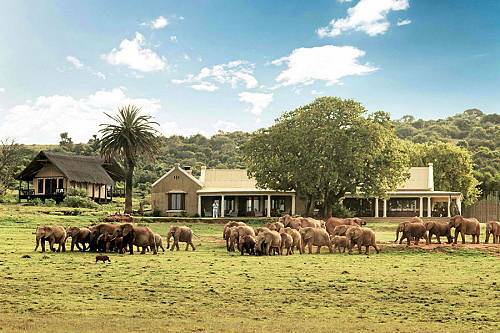 A small guide-to-guest ratio ensures your safari experience is tailored to your needs and desires. 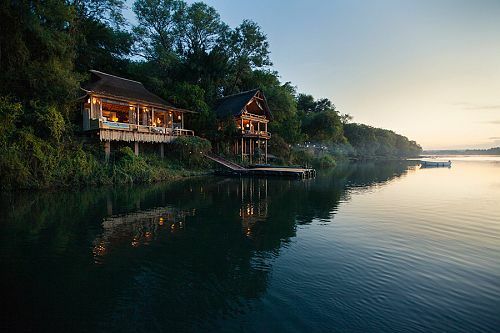 Back at camp, cool off in the pool and watch the sunset over the Luangwa River from the extensive deck. Your safari adventure continues as you journey to the Mana Pools region of Zimbabwe. A flight, short road transfer, and boat cruise bring you to John’s Camp, a mobile safari camp overflowing with local character and charm. With just 6 tents, John’s Camp offers an exclusive and intimate wildlife safari like no other. Enjoy the next 2 days on safari at John’s Camp. This is a true adventurer’s camp, with a distinct focus on walking safaris. Across the vast floodplain, you can walk with wild elephants, dine amidst herds of enormous buffalo, gaze upon prides of lion, enjoy sundowners with hippos on the banks of the Zambezi River, and bird watch over 400 species of birds. Today, your journey brings you to Victoria Falls—one of the Seven Natural Wonders of the World, located on the border between Zimbabwe and Zambia. Take a short flight to Victoria Falls Airport, where you’ll be picked up and transferred to Stanley Safari Lodge. With just 10 cottages, this beautiful lodge offers the same intimate, boutique feel as your safari camps with more creature comforts. Enjoy a gorgeous sunset from the pool, then gather around the campfire with your fellow travelers to swap stories from your adventures thus far. A guided tour of Victoria Falls is included in your stay. Walk along the Zimbabwe side to take in sweeping views of the falls and their impressive spray. Countless other activities are available at an additional cost. Feeling adventurous? Go bungy jumping, whitewater rafting, or fly above the falls in a microlight. For a more relaxed excursion, opt for a river cruise; visit the Elephant Cafe, where you can enjoy fine dining and hand-feed rescued elephants; or take a heli over the falls for the best view in town. Your incredible adventure comes to an end today. Enjoy a transfer to Livingstone Airport, where you’ll begin your journey home.